It's Secretary's Day—the more politically correct name is Administrative Professionals' Day. And Mad Men, its feet still set firmly in the '60s, is wishing you a very happy former (with a hashtag nod to the latter). In a curious move, the AMC show's Twitter account is celebrating the occasion with a photo featuring two former secretaries, Joan and Peggy. Why not use current secretaries Dawn and Shirley, both of whom had interesting arcs in this Sunday's episode? 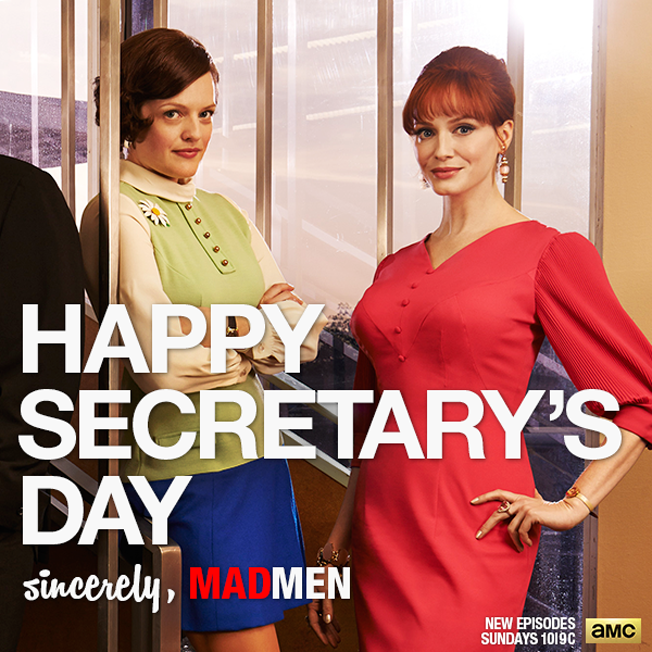 Did they pick our two female leads from Sterling Cooper & Partners deliberately to show that you too can move up the ranks from secretary (administrative professional) to account man (Joan) or copy chief (Peggy)?